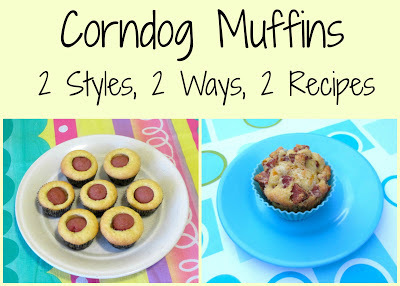 BentoLunch.net - What's for lunch at our house: Corndog Muffins, 2 Styles, 2 Ways, Both Yummy! 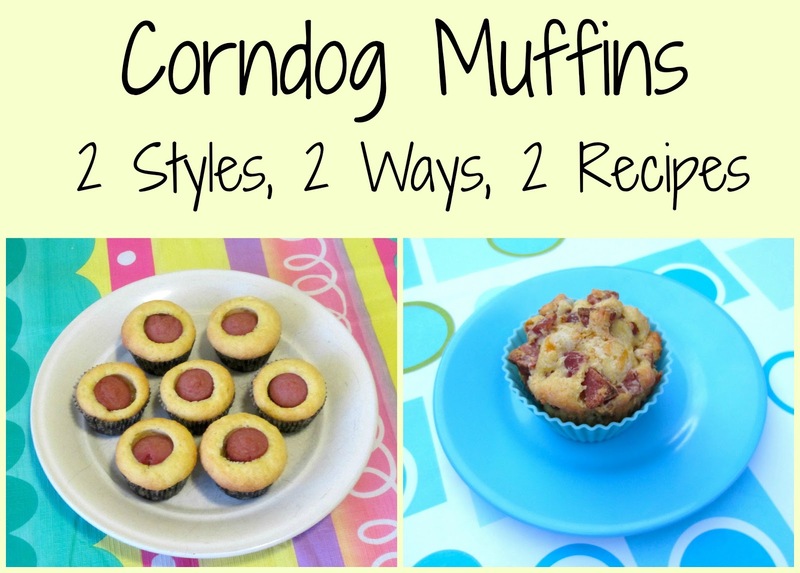 Corndog Muffins, 2 Styles, 2 Ways, Both Yummy! F&B love their corndog muffins and each time I post them, I have people asking me for details, so thought I'd combine all my previous posts and ideas about them into one more detailed one! First, decide if you want regular sized muffins or mini muffins, it does make a difference! 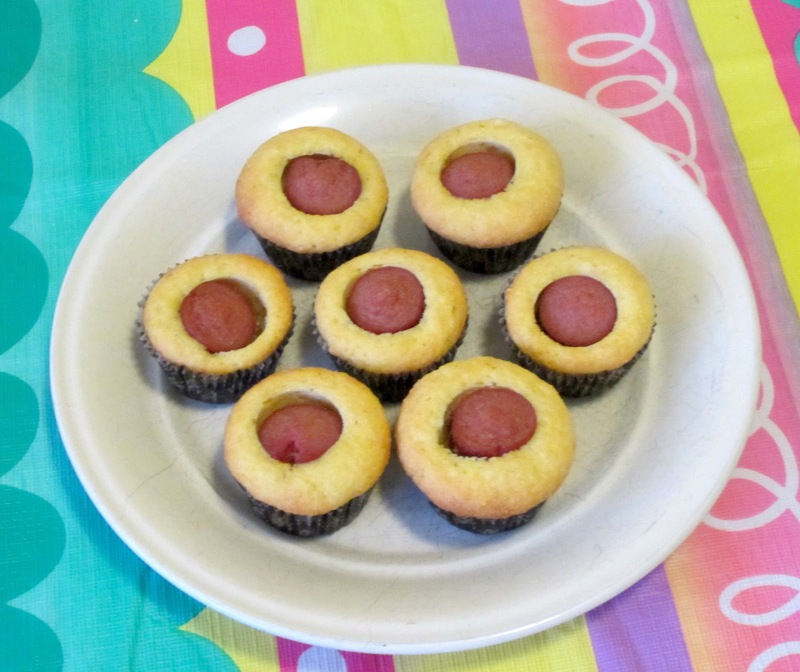 With mini muffins, you can make the cute sized ones with a large piece of hot dog in the center (see the upper left picture). While you can do this with regular sized muffins, both kids agree that there ends up being too much cornbread, not enough hot dog. With regular sized muffins, we highly recommend cutting the hot dog twice lengthwise, then dicing it into small pieces. It may not be quite as cute, but there is a better hot dog-cornbread ratio in each bite. Next up, you need your cornbread part. Once again, you've got two options. If you're in a hurry, a basic corn muffin mix like Jif works quite well. Just mix it up per the package directions. Later on, you'll bake per the package directions as well. Whisk all the dry ingredients together in one bowl. Whisk butter, milk and egg together in a second bowl. Pour the wet ingredients over the dry ingredients and blend together gently. After making your muffins, bake at 400 degrees for approximately 25 minutes. Whichever size muffin you choose, line your pan with paper liners or grease it very well. 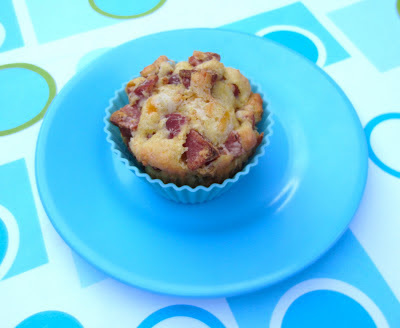 For mini muffins, place a small spoonful of cornbread mix at the bottom of each cup. Cut the hotdogs into chunks, even with the top of the muffin cup. (I use the pan as a guide for the first one, then the first one as the guide for the rest.) Place one hot dog chunk into each cup of cornbread mix, and press it down towards the bottom. If you want it to show, don't add more mix. If you want to cover it, put another small teaspoon of mix over top. I generally get about 24 mini muffins from either version. For regular muffins, dice the hot dogs as mentioned above. With both the homemade or the Jif-like mixture, about 6 hot dogs seems to be the ideal amount. Stir the diced hot dogs into the cornbread mixture, then place a scoop of the mixture into each muffin cup. I use an old ice-cream scoop of the perfect amount of batter which usually yields about 12 regular muffins. Once assembled, bake per the directions on the package or on the recipe. Cool and serve! F&B recommended a dollop of ketchup on the top of the mini ones or a container of ketchup to dip them in. Can't wait to make these both ways! Hi - do your kids like these muffins cold in a packed lunch? thanks! They always take them cold for lunch, no complaints!